An international journal for mathematicians all over the world to share the enormous advances that are currently being made in the field of mathematics. The subject areas featured include all main branches of mathematics, both pure and applied. Frontiers of Physics, an international refereed journal, aims to summarize the latest and significant progress and highlight frontier achievements, hot topics and cross points in a variety of research fields in physics. Frontiers of Architectural Research is an international journal that publishes significant and pioneering achievements in the field of architecture research. Frontiers of Chemical Science and Engineering(FCSE) presents the latest development in chemical sciences and engineering, emphasizing the emerging, multidisciplinary, scientific and international trends in research and development. Frontiers of Computer Science (FCS) is an international journal publishing the peer-reviewed, high level original scientific research worldwide in all fields of computer science and engineering. Frontiers of Materials Science is an international journal that aims at introducing the latest pioneering studies on all aspects of materials science. 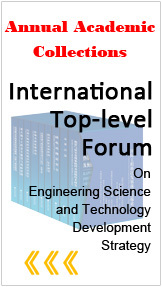 Frontiers of Optoelectronics (FOE) is an international peer-reviewed academic journal that seeks to provide a multidisciplinary forum to promote rapid communication and exchange between researchers in the field of optoelectronics. LAF will put its focus on the intersecting spheres of academic research and design practice in landscape architecture, discussing new opinions, theories and approaches. Frontiers in Biology is an international peer-reviewed journal that publishes high quality critical review papers and original scientific research in all areas of biology. Quantitative Biology covers all branches of systems biology, synthetic biology, bioinformatics and computational biology and publishes reviews, research articles, mini-reviews, opinion articles and perspectives, etc. FBR is a double-blind refereed quarterly journal in business research. By publishing state-of-the-art research articles, FEC aspires to become the most distinguished economics journal based in China. Frontiers of Education in China is an international academic platform for the readers around the world to explore the genuine meaning of Chinese educational traditions and contemporary patterns in a global context and exploring the significance of Chinese education. Frontiers of History in China (FHC) is a peer-reviewed international journal which reflects recent achievements in research concerning all periods of Chinese history. Frontiers of Law in China (FLC) is a forum for global jurists and legal practitioners, who are interested in Chinese law and the legal issues on the reform of Chinese contemporary legal system and that of other countries related in a global context. A peer-reviewed international journal that provides a forum to reflect advances in independent research and theoretical thinking in the field of literary analysis and interpretation broadly defined in both China and abroad. 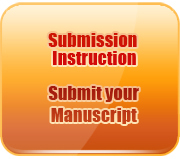 An international journal publishing the peer-reviewed articles in all fields of philosophy, with priority given to original works on Chinese philosophy and to comparative studies between Chinese philosophy and other types of philosophy in the world.